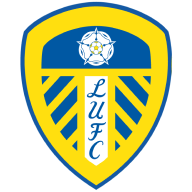 Leeds moved up to third in the Sky Bet Championship after Kemar Roofe and Ezgjan Alioski scored in an impressive 2-0 victory over Nottingham Forest at the City Ground. Roofe, who was selected up front by Thomas Christiansen after scoring a hat-trick in the midweek Carabao Cup 5-1 victory over Newport County, made no mistake from six yards out with a header from Liam Cooper's centre (24). Leeds were the better side throughout and very nearly doubled their lead in the final 10 minutes as Stuart Dallas fired his low left-foot shot across goal and just inches wide of the far post. But Christiansen's side duly wrapped up the contest with three minutes remaining as Kalvin Philips won the ball to set up Alioski, who cut inside and fired his shot into the bottom corner. Samuel Saiz came very close to breaking the deadlock early on as Pablo Hernandez set up his compatriot on the edge of the box and the Spaniard's shot flew just inches over the bar. Forest only had one attempt on target all match, and Mark Warburton will have been unhappy at the way his side failed to create anything of note. Leeds last took 11 points from their opening five league games in the 2001/02 Premier League season and they were full value for their lead, which duly came after 24 minutes. Liam Bridcutt started in midfield for Forest in place of David Vaughan against his former club, while Kemar Roofe was rewarded for scoring a hat-trick in midweek with a place up front for Leeds. Pablo Hernandez's cross was flicked to the edge of the penalty box by Matt Mills but straight into the path of Cooper, whose pass found Roofe to score with a downward header back across Jordan Smith. Warburton's side did improve after the break without troubling the Leeds goal, and Alioski capped a man-of-the-match display to seal the victory after 87 minutes. Leeds boss Christiansen said: "This could probably be our best game so far. 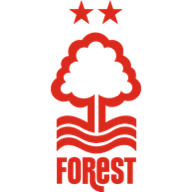 Tactically we neutralised a very good Nottingham Forest side who had just beaten Middlesbrough and Newcastle. "We have beaten them on their home ground and not only am I happy, I am also very proud of my players. Everyone was very good today. When you get the second goal you know that the game can be closed out, in that moment. Forest manager Warburton admitted his side were second best, saying: "No excuses, it was an off day. We talk about positives, but there were no positives today," he said. "We were below par all over the pitch, we were loose and we were sloppy. "We lacked intensity and looked heavy-legged. There is no excuse for that, because we had lots of fresh legs today."